Great news! 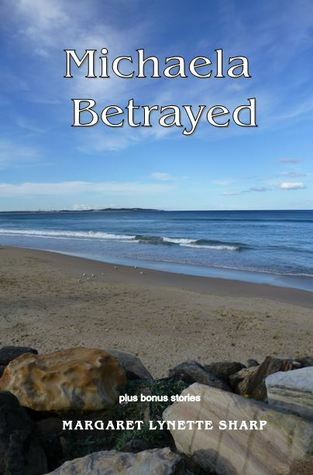 My new release, ‘Michaela Betrayed’, has been reviewed! Michaela has worked all her life in pursuit of the achievement of her… um, *father’s* goal, and bright, gifted and determined, she’s succeeded. Which isn’t bad. Michaela’s won a scholarship to study music in London, and the only hitch is that London sits inconveniently at a 17,000-kilometer remove from Australia and her closest friend, Thomas, an aspiring writer whose hopes may exceed his talent, and who certainly isn’t her parents’ concept of a suitable mate.Just when she seems safely and happily ensconced in her life in England, though — enjoying her studies, a shared flat, and the prospect of a new life — she’s stricken with pneumonia and induced to return to Australia for a month or two to recuperate, again bringing Thomas into her sphere and kindling a blaze of romance between them. But for Michaela, circumstance is a driving force, and Thomas may eventually cease to be her focus. What I particularly liked about Sharp’s novella was its absolute verisimilitude. Young women like Michaela are influenced (for good or for ill) by their fathers, in just the way that Sharp describes. And life’s vicissitudes do seem to intervene in exactly these chaotic ways… more often than one would think statistically plausible. It was altogether easy to get into Michaela’s head (and Thomas’, for that matter). Whether Michaela chooses Thomas, her music instructor, or neither, I won’t reveal — but her thoughts and feelings have the ring of authenticity, and engage and captivate the reader. Of course, in a world that little values art (of any sort), Michaela’s pursuit of music was not actually less quixotic or unrealistic than Thomas’ pursuit of a literary career, so there was a judgmental double standard emanating from her parents, and a measure of hypocrisy inherent in her initial acceptance of their views, but this, too, was entirely realistic. The best characters are the ones who are flawed, tempest tossed by fate, and bound to confront their own conflicted feelings. This novella *is* good art, in any case (as well as an extraordinarily good read), and deserves to be valued. Five stars. Footnote: What a great way to celebrate my 3ooth Post!! ‘Long and Short Australian Stories’ : Shelleyrae’s review. When you’re a writer, reviews of your own work engender a plethora of emotions. There’s the waiting and wondering, particularly for early reviews. Then, there’s the inevitable reflection on their meaning and potential outcome, and the hope of words that reflect one of humanity’s deepest desires, approval. In other words, reviews matter. Some say that reviews are mostly for the benefit of potential readers, but the reality is that well-founded observation, positive or negative, can help the writer, too. Seeing through the eyes of another can alert an author to points perhaps previously unrecognised. So, I say a big ‘Thanks you’ to Shelleyrae at Book’d out for her thoughtful review. Early this morning, Shelleyrae at Book’d Out published a beautifully presented Guest Post featuring me, my family, and my writing. Not surprisingly, she has set it out in a lovely and professional manner. 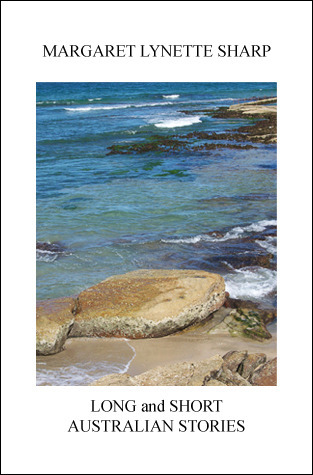 Late this afternoon, Shelleyrae revealed her insightful and well-expressed review of my second book, ‘A Taste of Life and Love in Australia.’ In it, she speaks of each story as a ‘window into the nature of relationships’, and describes each as ‘thoughtful and charming’. So, all in all, I’m absolutely delighted! As a self-published author, the road is proving to be uphill. Thank goodness that dedicated people like Shelleyrae are there to help smooth the way.